What is an Ancillary Matters Hearing ? 1. After an interim judgment for divorce is granted, the court will fix a date for an Ancillary Matters Pre-Trial Conference (“APTC”). The APTC is a prelude to hearings for a determination of the ancillary matters. 2. Ancillary Matters deal with issues pertaining to custody care and control and access to the children; maintenance for spouse and child; division of matrimonial home; division of other matrimonial assets; and costs. 3. What are Matrimonial assets? Basically they include assets acquired by one or both parties during the marriage, assets used by one or both parties or their children, or even assets acquired before the marriage but substantially improved in quality during the marriage. Assets received as gifts or inheritance, are generally not considered as matrimonial assets. 4. The first notice from the Family Court will also provide you with directions to file the FORM 35 ie Affidavit of Assets and Means (referred to as the 1st AOM). 5. At the FIRST APTC, it is conducted by a Deputy Registrar. It is attended in chambers, meaning that the hearing is closed to the public and only the divorce lawyers attend the hearing. The judge will ask if parties have filed and exchanged their 1st AOM. The judge will also direct parties to exchange proposals and consider if the matter come be dealt with at mediation. If yes, a date will be set for parties to attend Mediation with their lawyers. 6. If mediation is successful, then a terms of settlement will be recorded and thereafter the order of court will be extracted. And the Final Judgment shall be extracted after 3mths of Interim Judgment. 7. If mediation fails and there is no settlement, parties return for a SECOND APTC and they will be directed to file and exchange their 2nd AOM. A THIRD APTC is held and a status updated is given to the court. Directions are further given. Parties can have a final say and they can file and exchange their 3rd AOM. 8. During the interim period of the exchange of the Affidavits, parties can take out summons application on interrogatories; discovery; and even to the extent to expunge the other party’s affidavits ie on parts that are offending. 9. Once there are no more summons applications or AOMs filed, at the FINAL APTC, the judge will direct parties to file their Ancillary Matters Facts and Position Sheet, Checklist and Declaration of Assets. 10. 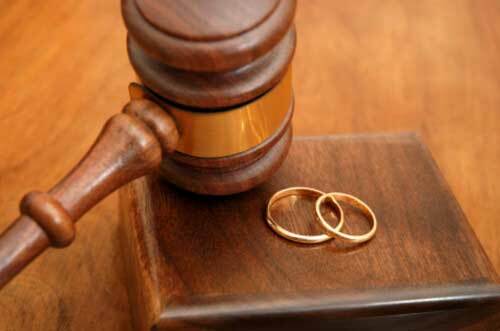 If the net value of matrimonial assets is above S$1.5 million, the hearing is held in the High Court. Otherwise, it is heard in the Family Court. 11. At the FINAL APTC, the Ancillary Matters hearing date will be given with directions for parties to file their written submissions to the Court ahead of the hearing. c. The giving of assistance by one which allows the other party to pursue his or her career. 13. Then the Ancillary Matters order is passed, you will have 14 days to lodge an appeal in the event you are dissatisfied with the judgment. 14. If you are not appealing, then the Final Judgment can be extracted as by then, 3 months would have lapsed.